As glass window panes became the norm in the 15th century, curtains quickly moved from the purely functional to an elaborate sign of social status. 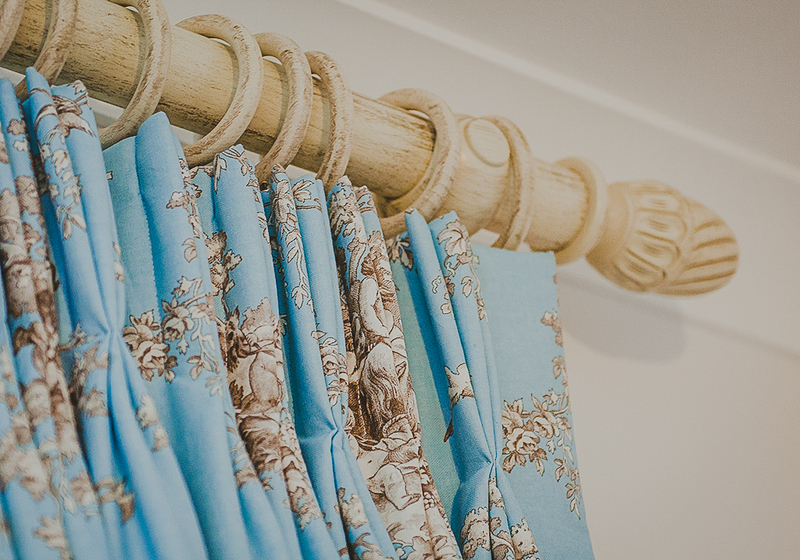 Curtains can certainly make a room, but with the huge choice of styles, colours and fabrics available and decisions to be made regarding linings, length, trim and tiebacks, it is easy to feel overwhelmed. 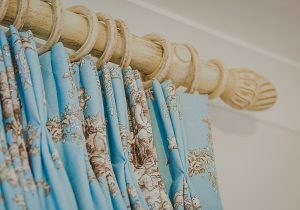 The fabric you choose will affect how well your curtains work. If they’re too heavy they may not fold crisply when drawn, too light and they won’t fall well. Heavier weight fabrics are useful for blocking light and keeping out the cold. However it is still advised to interline all fabrics to help with insulation, fullness and to prolong the life of the curtain. If your room gets a lot of light, avoid bright colours as they tend to fade faster in the sun’s glare. 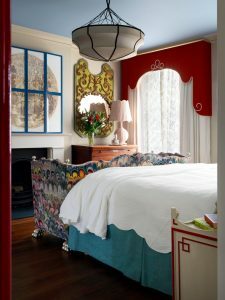 Deciding how high to hang your curtains will also alter their effect. Designers often hang six or more inches above the window frame to give a sense of height to the room and make the windows look larger. Hang to floor level for a more modern, crisp look. 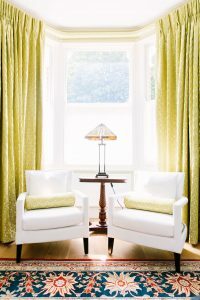 Or for a softer look add two or three inches to the length to allow the curtains to ‘puddle’ on the floor. 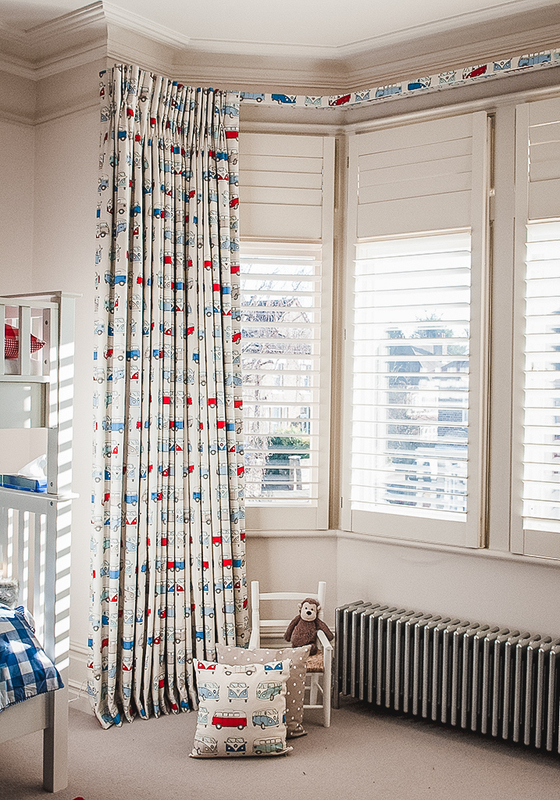 You can also customise your curtains with boarders in a contrasting fabric colour, pattern or trim. A pelmet is a decorative board fixed above a widow to cover up the curtain rod or fixtures. 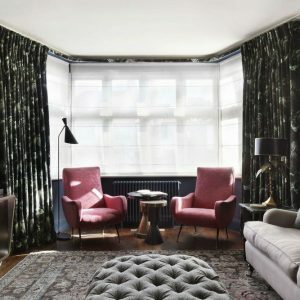 Interior Designer Emma Pocock from Turner Pocock is a great advocate of using this technique, ‘We often use pleated valances, shape pelmets and tie backs in children’s rooms to make them feel cosy in contemporary houses. In some way a sense of tradition seems to comfort parents. A touch of nostalgia perhaps.’ Where rooms are not especially high, it looks particularly good if the pelmet goes right up to the ceiling. A valance looks similar to a pelmet, but is made entirely of fabric for a softer look. 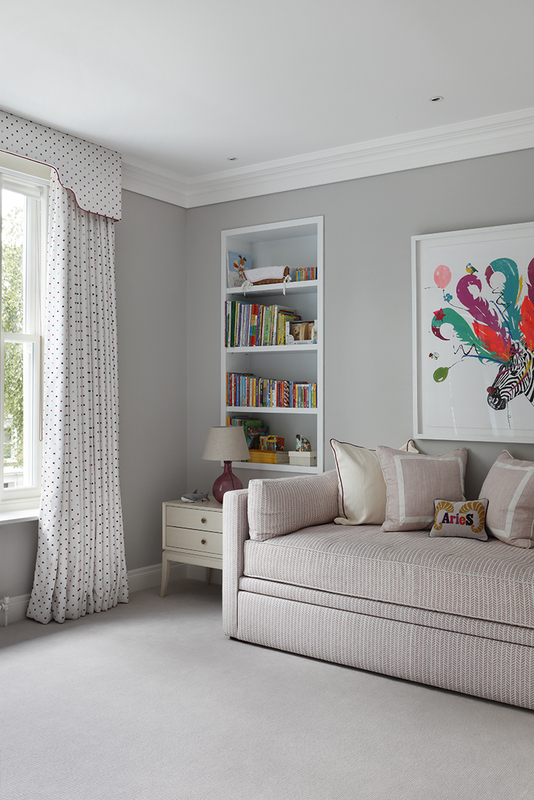 A soft gathered pelmet combined with luxuriously thick curtains are perfect for a country bedroom. A lambrequin is a type of pelmet but with longer sides, which works well where you want shape, movement and an added touch of drama. 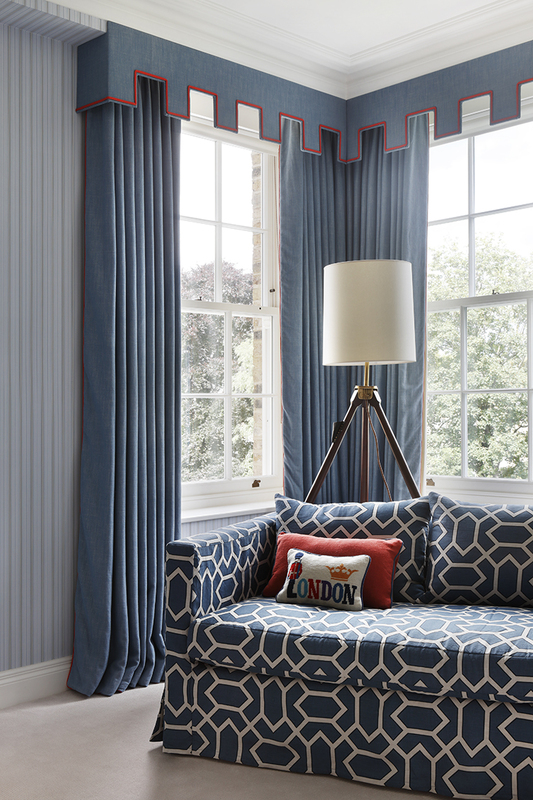 Top Interior Designer Beata Heuman illustrates this beautifully in this West London house. Different curtains require different hanging needs. 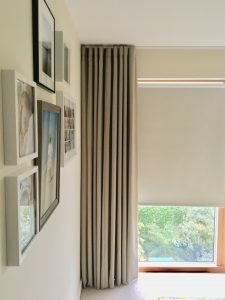 Poles are ever popular and available in a huge choice of widths and finishes, but for a more modern look opt for a fabric-covered corded metal track, known as a ‘lath and fascia’. This significantly reduces the amount light that comes through the surround, which is very useful in children’s bedrooms and on bay windows. 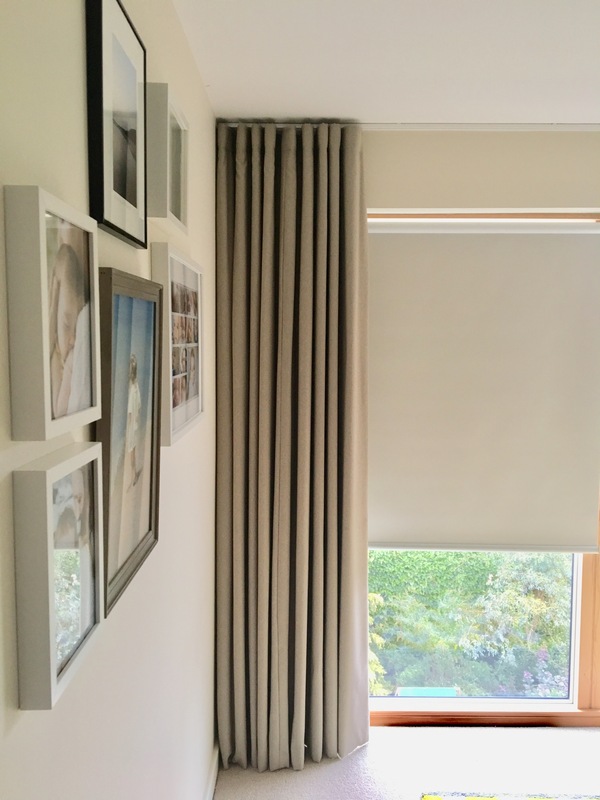 Cover both board and fascia in the same fabric as the curtains to create a neat finish. The cord can be operated from either side but for big windows each curtain will be corded separately. A ‘wave’ curtain hangs directly below a ceiling mounted track in a neat and uniform style. Wave tracks can also be bent for bay windows. Italian strung curtains are fixed in position at the top and then drawn up and down using a cord. The look is quite traditional and very pretty. Ideal for a nursery or little girl’s room. And then there’s the headings. Pencil pleats are the most traditional heading and will work with all types of track and pole. 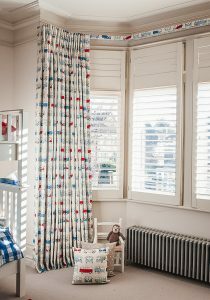 Pinch pleated curtains essentially gather the pencil pleats into groups of two or more for a more decorative heading. 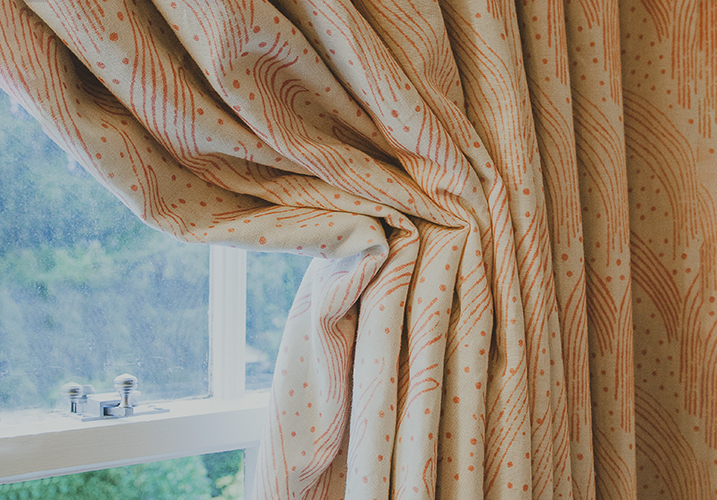 This will work with most types of fabric, but bare in mind that the more pleats, the more fabric is needed and so increases the cost of the finished curtains. 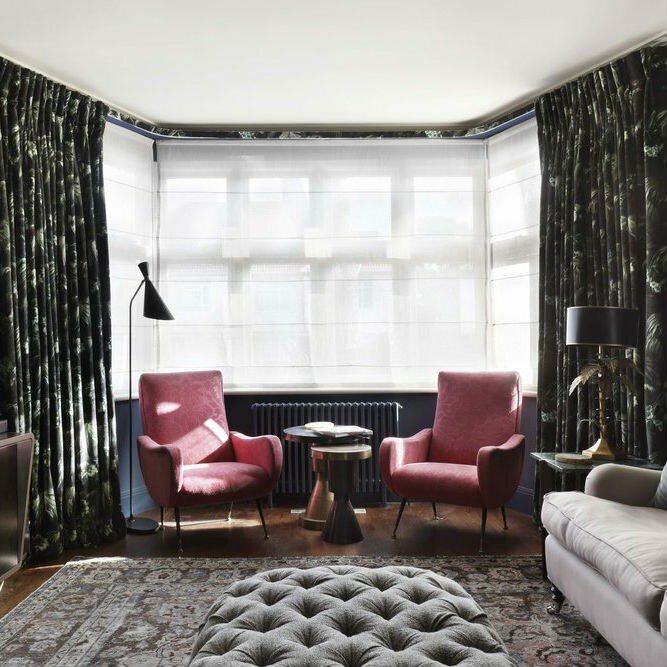 Tailored pleated curtains have the pinch at the very top of the fabric, while ‘goblet’ pleats are formed to resemble a wine glass. To keep the goblet pleats looking full and rounded they will need to be shaped with interlining. 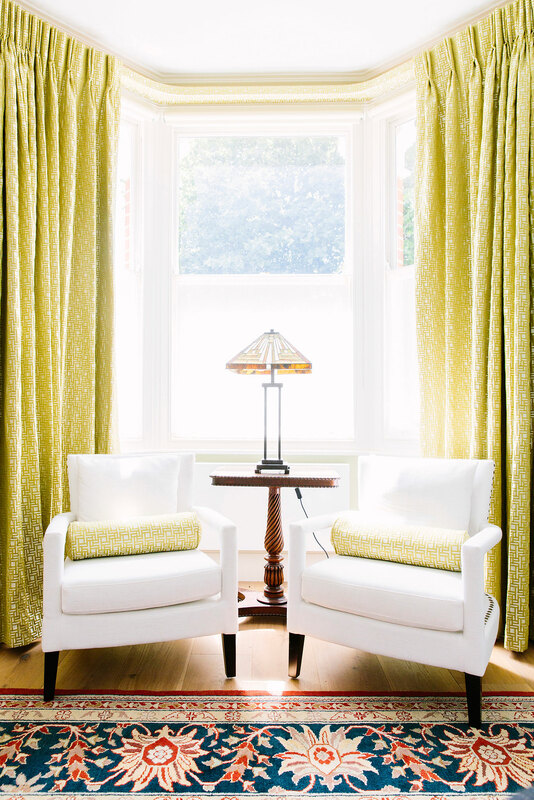 Box pleated curtains give a very tailored look and drape into deep folds down the full length of the curtains.